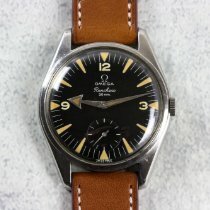 Warranty: This watch comes with a two year warranty. 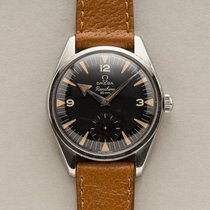 This watch has been recently serviced. 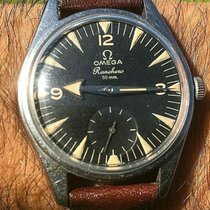 1959 Vintage Omega Ref. 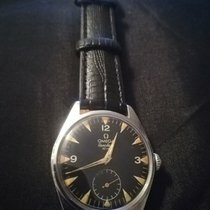 2990-1 Ranchero Reference Number with Original Seamaster Silver Dial with Applied Gold Color Arabic 3, 9, and 12 with Elongated Arrow Markers with Vintage Omega Black Leather Strap and Omega Steel Buckle. Triple Signed.